I’m going nuts right now. 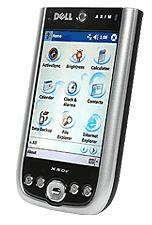 I misplaced my $400+ Dell Axim x50v somewhere in the office building where I work today. Fortunately, I work at a Christian company, so I don’t think it was stolen by a coworker. Unfortunately, we rent space in a building not dominated by Christians. So it could be on the lam. Hopefully, I’ll find it in someone’s cubicle in the morning. Meanwhile, I keep thinking somebody should invent a Gizmo Buddy. You know, something you can easily clip onto a gizmo and a mated device you can slip in your pocket, clip on your belt, or thread onto your keychain, and when you get more than 10 feet away from your gizmo, an alarm goes off, or it starts vibrating, or maybe it calls Homeland Security for you. Or something. A fool and his Pocket PC are easily parted, apparently. Update: I thank God my PPC was found the next morning by my boss. It wasn’t in the office I expected it to be. No, it was lying underneath a picnic table outside our office building. Of all the people who work in this building, I am so grateful he was the one who found it as he walked by in the morning. He found it, saw my name on the startup screen and left it on my desk. How did it come to lie beneath a picnic table? Nothing sordid, I assure you. As I was leaving work, I stopped by the table to see if I could shoot another macro photograph of the scarred tabletop. I must’ve either set my PPC down, or it fell out of my pocket when I leaned over. Who can say? I’m just hugely grateful Kevin Miller found it. Don’t tell him, but I think I owe him one. I’m back to listening to podcasts. Wahoo!